The Jamie Oliver Group has cooked up a new skill for Amazon's Alexa assistant, making it easier to find recipes using voice commands. The brand, in conjunction with AKQA, has launched the new skill to coincide with the UK launch of the Amazon Echo, the smart speaker that operates with Alexa. Skills are akin to an app on a smartphone, and allow Amazon Echo owners to do anything from order a cab via Uber to control music through Spotify. The Jamie Oliver skill bills itself as a hands-free way to find recipes - but as yet, it will not read out the cooking instructions. Keen cooks can ask Alexa to find them Jamie Oliver recipes and read out a brief description. They can also ask for information such as cooking time and skill level. Alexa will then email the chosen recipe to the user with a full list of ingredients and a link to the Jamie Oliver website. The skill will update with new and seasonal recipes. Eventually, users will be able to filter by dietary requirement. The skill is available for free, and doesn't require a subscription either to Amazon or to Jamie Oliver. Jamie Oliver is one of the first UK brands to launch on the Echo. Smart home brand Hive, Sky Sports and National Rail are among the brands which have already created Alexa skills. Zoe Collins, creative director at Jamie Oliver Media Group, a subdivision of Jamie Oliver Group, said: "Finding new and exciting ways to connect people to the joy of food is at the heart of Jamie's Food Revolution. 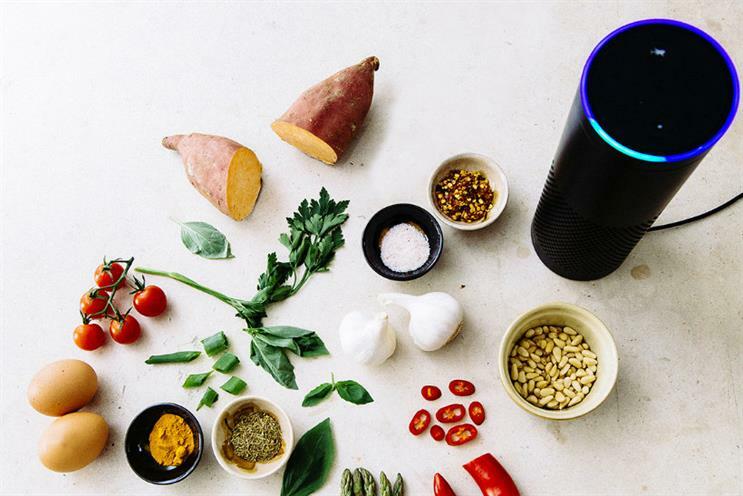 The new Jamie Oliver Skill on Amazon Echo makes it easy to find delicious and nutritious recipes to cook and enjoy at home." Facebook Marketplace - frictionless or fraught?